The secret to unlimited abundance is giving, not just giving to get, but really opening up and giving from your heart. 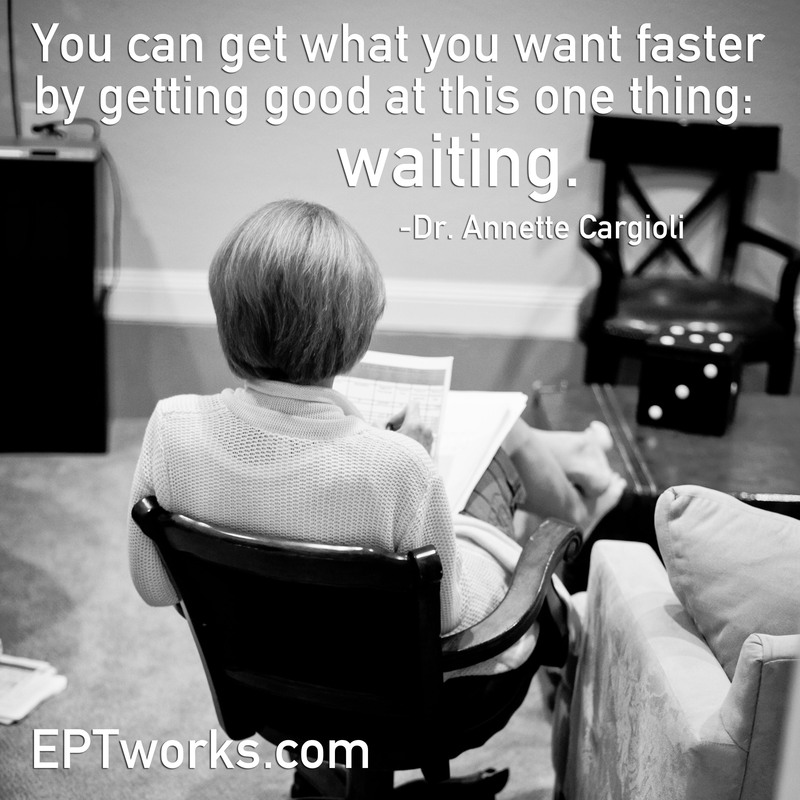 If you are inspired to give more from your heart, I would love to invite you to join EPTworks in an amazing GIVING opportunity. We are hosting The Love Always Wins Inspirational Dinner honoring the women of Coburn Place Safe Haven in Indianapolis on Monday, February 18th at 5-8pm. We invite you to volunteer to serve the women and children of Coburn Place for an evening of Love and Inspiration. Coburn Place Safe Haven provides women who have suffered from domestic violence and their children a chance to start anew, to finally accomplish a dream that an abusive partner and circumstances prevented. In addition, I am offering my EPTworks class series (beginner, intermediate and advanced) at no charge to residents and counselors of Coburn Place. Classes will be taught at Coburn Place on 12 (mostly) consecutive Mondays (4-7:30pm) beginning in March and continuing into June. Each class will covered over a period of 4 Mondays. I am inviting previous EPTworks students to participate in these classes at no charge. In place of the usual fee, I only ask that you fully commit to each of the four sessions that make up either a beginner, intermediate or advanced class. You are welcome to take any or all of these classes in exchange for your full commitment to be there for the women of Coburn Place who will be learning this information for the first time. After twelve weeks of weekly EPTworks training and practice, your level of expertise and confidence helping others with EPTworks will explode!!! Call my office to reserve your space in this amazing giving opportunity!! We all know it is better to give than to receive; what we may not really understand is why this is the case. It’s simple, really–the more you give of yourself, the more you will receive. By releasing energy, you open a space that must be filled. When you give freely and unconditionally, success and abundance will be your reward. There is a universal law of giving and receiving. This law is as sure as the law of gravity. Like the law of gravity, the law of giving and receiving can be observed as a natural force within the universe. When you give of your time, energy and resources with no strings attached, you instantaneously set the law of giving and receiving in motion. You become a magnet, attracting success and abundance. Marenda Taylor writes about The Law of Giving and Receiving, and much of this information comes from her. There are both scientific and spiritual bases for this universal law of giving and receiving. If you do not sow, you will not reap. How can you receive anything, if you never give anything? For every action, there will always be an equal or even opposite reaction–Isaac Newton’s Law of Motion. If you do nothing, nothing will happen. You must take action for something to occur. Many are afraid to give because they feel they will not have enough left for themselves. For most this comes from limiting beliefs about abundance and scarcity. The person who is afraid to give, will never gain or grow , but will always remain stagnate, keeping only what they already have and never realizing more. Others will give just a little, feeling a sense of scarcity–but those who give only a little will get only a little in return. Some people understand the basic principle of giving and receiving and simply give to get. This is a perversion of the law of giving and receiving. Those with selfish motives will learn the hard way that intentions matter with regard to the law of giving and receiving; it is as immutable as are other natural laws. Start giving from the heart. By incorporating the law of giving and receiving into your life, you will find that you can indeed give of yourself without having to worry about scarcity. This is nothing short of a spiritual experience. You will begin to feel a kinship with the world around you. This will enable you to truly love others as you love yourself. Giving produces spiritual and personal growth. When you give unconditionally you build faith in yourself, in others and the entire world. The more you give, the more you will experience joy, love, inner peace and prosperity.